KidsEBookBestsellers.com: The Wizard of Time Trilogy: Number One with Kindle Kids! 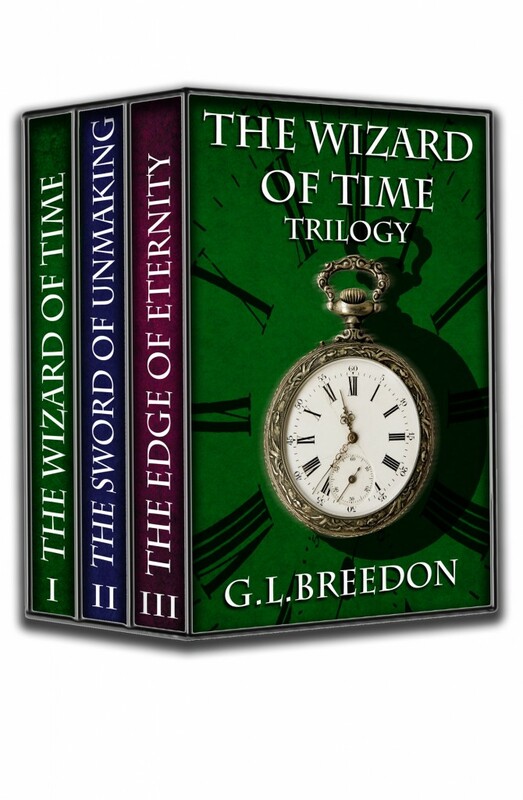 The Wizard of Time Trilogy: Number One with Kindle Kids! The Wizard of Time Trilogy hit the coveted number 1 spot in the Children's section of the Amazon Kindle store on April 18th. 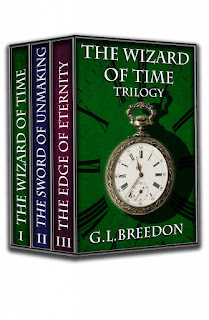 This time travel adventure series by G. L. Breedon consists of The Wizard of Time, The Sword of Unmaking, and The Edge of Eternity. First, please tell us what your books are about. Thirteen-year-old Gabriel Salvador has dreams about the future and his dreams always come true. When he dreams one night that he will drown, he knows upon waking it is only a matter of time before his dream becomes reality. Plucked from the timeline of history at the moment of his death, Gabriel becomes an apprentice time mage and part of an elite team of wizards who travel throughout history to fight the War of Time and Magic. Victorian London, the Aztec temples of 1487, the Greek island of Samos in 320 BCE, Scotland in the Middle Ages, and the battle fields of Alexander the Great are only some of the adventures in time that await Gabriel as he learns to become a time mage and joins the battle to protect the timeline of history in The Wizard of Time. I have the usual indie author story. I spent several years writing novels and collecting rejection letters from agents and publishers before I decided to start self-publishing in 2011. I currently have three books in the Wizard of Time series, two books in my Young Sorcerers Guild series, and a stand alone YA sci-fi book published. I think the thing that helps sell books more than anything is word of mouth – people wanting to share their experience of reading your book and telling others about it. That only happens if you write something people enjoy enough to want to share. And sometimes people want to share some of your books more than others. My Wizard of Time books outsell my others by a wide margin. I’ve run bookbub ads, which helps give the book a boost, but most of the sales are from people finding it or having it recommended to them. I have a blog and facebook and twitter account, but I’ve been ignoring them lately as I’ve invested most of my free time writing and editing my new fantasy novel. I find it really difficult to make time for both when I’m writing or editing. I’m hoping to get back to posting on all of them soon. Some studies say children reading e-books are reading more, while other studies say they comprehend less of what they read. What's your opinion or experience? I’ve had parents write to say that The Wizard of Time got their child into reading or rekindled a lost interested in reading, so I definitely think kids are reading more. If they are comprehending less it might be due to the fact that ebooks make it easier to flip pages and skim past parts the kids find boring. The books I have written so far are pretty solidly targeted to the 12-14 year old reader. I think ebooks work great for that age range – assuming they have access to a tablet or ereader. Unfortunately, most kids that age don’t yet have their own dedicated device. I think that will change as the price continues to drop for ereaders and tablets, and I think younger readers will read more ebooks as a result. I’d spent years reading that self-publishing was not only a sign of failure as a writer but would ensure that your book never got accepted by a traditional publisher. However, by the time I started indie publishing my novels as ebooks enough people were doing it that it seemed more reasonable and less risky. Now I find it hard to imagine having a traditional publisher even if that meant a wider print distribution than I can manage on my own. As you got into e-publishing, have you discovered unexpected things? Has anything happened that you wouldn't have predicted? The thing that surprised me most was the effect of word of mouth in selling books. I’ve watched other writers who invested a great deal of time in social media or ads or free give always, and compared them to the sales of writers who did none of that, but who had a book people wanted to share with friends and family. The books that generate word of mouth buzz always sell more. That made intuitive sense, because I love to share books that really interest me, but it still surprised me from a practical point of view as an indie published author. I have a freelance day job, so I do most of my writing and editing between gigs. I’m currently editing my new Epic Sword and Sorcery Opera. It’s a 750+ page fantasy novel following seven groups of people in a world where thousands have begun to have dreams of a new god and a new star and begin a pilgrimage to the Forbidden Realm. One night a star appears in the sky just as the dreams foretold and sets in motion all manner of chaos for the characters at the center of the story. I suspect that in the next 5 years, and certainly in the next 10, ebooks will replace print for most genre fiction, for all age ranges. It may happen slower for children’s books and middle grade YA books. I don’t think print will go away for contemporary fiction or for text books and works with large amounts of photos. Print it is very convenient for that sort of thing. 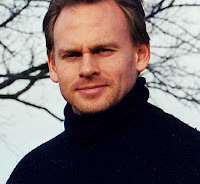 I also suspect that more of the writers of those genre ebooks will be indie authors. As mass maket paperback sales decline there will be less incentive for newer authors to look for a traditional publishing deal. I don’t think people would be reading my novels without ebooks. For all I know I might be on my sixth novel of collecting rejection letters instead of getting ready to indie publish my seventh. I can’t honestly see how ebooks could hurt readers. They cost less, their easy to read, and they can’t fall off your overcrowded book shelf and hit you in the head. Win, win, win. Learn more about Geoffrey and his books by visiting his website, or by following him on Facebook and Twitter. See the latest Kids' EBook Bestseller List for more top ten e-format authors and their books. It's usually updated every Saturday morning, but this week due to scheduling conflicts I had to compile it on Friday evening. Check back next week when my featured author will be Aimee Agresti.